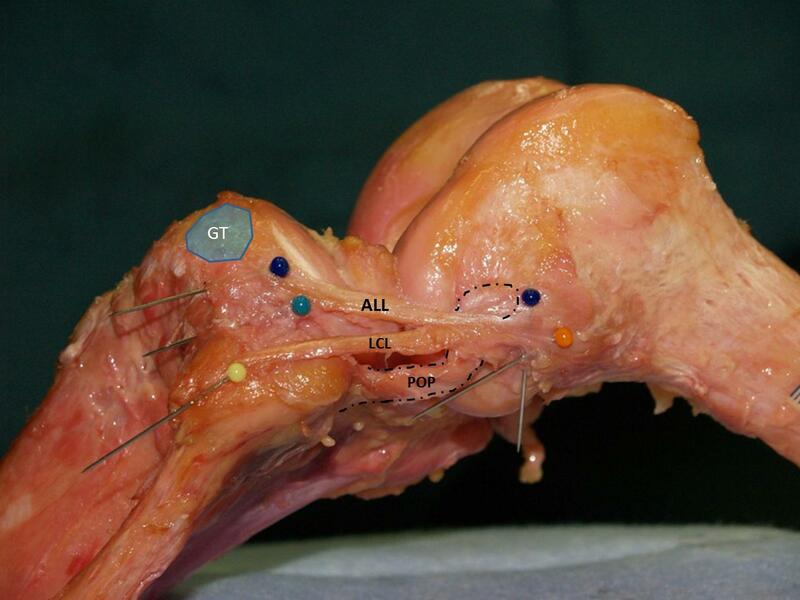 Michael Jocson Physiotherapy: New Ligament Found in the Human Knee? So What? All over the internet on social media websites such as FaceBook and Twitter there's a popular buzz about a new found ligament "discovered" in the Human knee. This was from a study by some Belgium surgeons who found a consistent presence of the ALL in all but one of forty-one cadavers. In reality, a Dr. Paul Segond, a French surgeon was the first to document a description of the ligament back in 1879. Obviously, like the conquistadores of Europe "discovering" the Americas, this "discovery" is more like a renaming. In the Belgium study, it states that probably about 97%-100% of us have this ligament. Previously many have thought of it as an oblique band of the lateral collateral ligament (LCL) or a lateral extension of the knee joint capsule. What does this new "discovery" mean? Honestly, nobody really knows. But there's some speculation that the ALL has a role in anterior cruciate ligament (ACL) injuries and its potential role in limiting internal tibial rotation as seen in positive pivot shift testing. For now we can just guess based upon our current understanding of the biomechanics of the knee along with the rest of the body. If the ALL checks internal tibial rotation and if it's injured, like all ligamentous injuries, the common approach is to facilitate the agonist muscle around the ligament to check further stretching/tensioning of the ligament. For example, the ALL limits internal tibial rotation and the biceps femoris contributes to the opposing external tibial rotation movement; so it makes sense to condition the muscles that externally rotate the tibia: biceps femoris, TFL, vastus lateralis. Theoretically, if the ALL limits the tibia moving internally on the femur, it can also limit the femur moving externally on the tibia and addressing the muscles that internally rotate the femur may also help stabilize an injured ALL: TFL, ischiocondylar adductor magnus, anterior gluteus medius/minimus. The popliteus actively contributes to unlocking the knee, internally rotating the tibia, and externally rotating the femur. Its actions of rotating the tibia internally and rotating the femur externally actually create more tension on the ALL. And what muscle do I see pretty much all the time being facilitated and loaded with gnarly trigger points post-knee surgeries? The popliteus, of course. Disengage the popliteus and you decrease the tensional load on the ALL. Pretty simple, huh? But if you really want protect the ALL, ACL, the menisci, the patella-femoral joint and all the other structures around the tibia-femoral and tibia-fibular joints, assess what is going on up north at the pelvis. The pelvis-femur complex is like the steering wheel and everything below are like the wheels. If your steering is out of alignment, your wheels get much more wear and tear for every mile driven. This is a whole other story and blog post altogether but it is highly recommend to address the function of the pelvis and hip complex in three planes of motion. Hopefully you got something out of this post and perhaps it helped spark some outside of the box thinking. Please share this with others since no one else appears to be writing about the ALL other than it's some "new" ligament discovered. I agree with you and I think it is a good resources to learn about Ligament discovery.How we avoid the inventions of science.Each and every time science are wondering us by its new inventions.If scientists discover a new ligament that would be a great help for athletes specially for Cricketers and footballers because most of the time they have to fight against ligaments injury. Again Thanks For your great topics. I'm honestly just amazed that there are still entire ligaments in the human body that we haven't even discovered yet. New gut flora? New types of brain cells? Okay. But a new ligament? How the heck have we missed that for all these years? Great news! This is a really important discovery for every human. The popliteus actively contributes to unlocking the knee by custom essay deal , internally rotating the tibia, and externally rotating the femur. Its actions of rotating the tibia internally and rotating the femur externally actually create more tension on the ALL. And what muscle do I see pretty much all the time being facilitated and loaded with gnarly trigger points post-knee surgeries?